New! I have worked with Harrison for 21 years, and these are the very first turtles I have ever had from him. 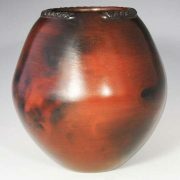 Each one is hand coiled, beautifully polished, and fired traditionally. The designs are different, and they are all delightful. 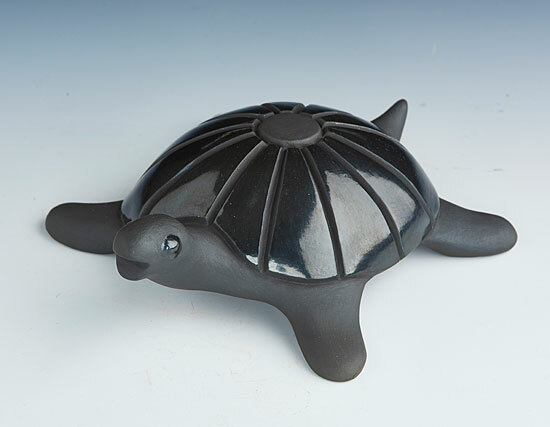 This turtle is designed with black carved and polished sun rays with polished eyes. 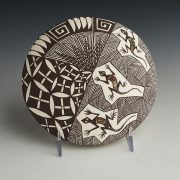 Categories: Dine, Pottery Artist: Harrison Begay Jr.